Libya: Will Sarkozy Have The Balls To Attack Gaddafi’s Forces? On Saturday, in Cairo, the Arab League called for a no-fly zone over Libya. By their decisions, Arab foreign ministers “urged the United Nations security council to assume its responsibilities in the face of the deteriorating situation in Libya, and take the necessary measures to impose an air exclusion zone for Libyan warplanes.” But despite the League’s request made to the UN, the international community, at the exception of France, keeps finding excuses to intervene while outgunned Libyan rebels and civilians are getting slaughtered by the thousands. 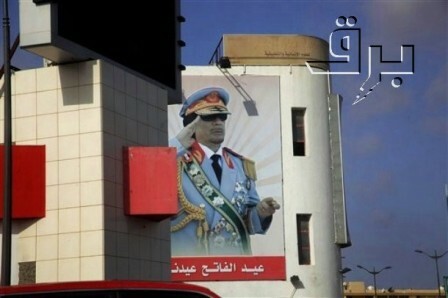 Today, Libyan rebel forces continue to lose ground to the brutal attacks of Gaddafi’s troops. According to the Agence France Presse, Libyan rebels have retreated from another key town after heavy artillery shelling and attacks by jet fighter war planes. An AFP reporter described dozens of rebels pulling out of the coastal town of Brega. This AFP report was independently confirmed by NPR. 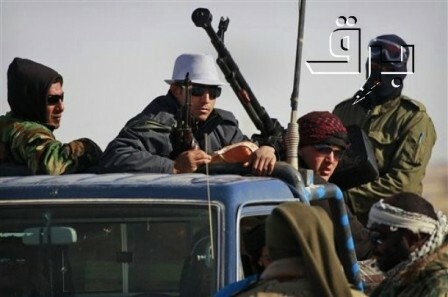 Rebel sources said forces of Gaddafi were advancing from the west after capturing the town of Uqayla. In Benghazi, all mobile phone communications were suddenly cut off for no apparent reason. 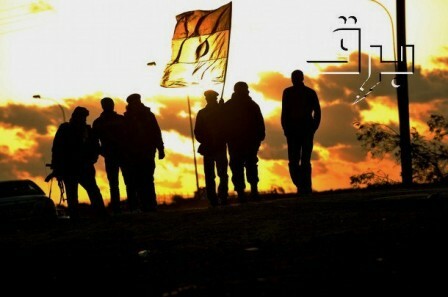 However, rebels’ morale was boosted by the Arab League decision made on Saturday. Meanwhile, in Washington, the Obama administration, once again, paid lip service to the rebels by welcoming the Arab League’s decision, but it stopped short of giving full support to the no-fly zone. “The United States welcomes the Arab League decision, which strengthens the international pressure on Gaddafi, and support for the Libyan people. The international community is unified in sending a clear message that the violence in Libya must stop, and that the Gaddafi regime must be held accountable,” stated White House spokesman Jay Carney. But from the five members of the UN security council, only France is so far pushing for aggressive action including military strikes to cripple Gaddafi’s forces. Britain is now backtracking from its original support for implementing an immediate no-fly zone which entails military intervention. “We’ve said it all along. One of the conditions for a no-fly zone must be broad support in the region. The Arab League’s request to the UN is a clear indicator that there is a broad support in the region. It is also necessary to have even broader international support, and it is also necessary for it to be clearly legal,” British foreign minister William Hague told the BBC. It is leaving French president Sarkozy standing alone. On Thursday, in a surprise announcement forcing the hands of his EU partners, Sarkozy became the first head of state to recognize the rebels of Libya National Council as the country’s legitimate government. President Sarkozy also stroke a bellicose tone by proposing “targeted air strikes” in Libya as a way to end the violence. Sarkozy’s ability to act, usually for the worst but in this case for the better, can not be underestimated. A unilateral decision from France to strike Gaddafi’s force is completely within reach of France’s military capability. If Sarkozy is not bluffing and just playing a posturing game, it could be a win-win situation for him politically both domestically and internationally. As the Arab revolution will eventually keep gaining ground across the Middle-East, France could regain its lost prestige and become a prime partner for a pan-Arabic federation in this brave new geopolitical landscape. Editor’s Note: All photographs courtesy of BRQ Network. 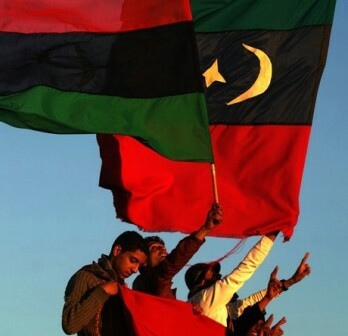 9 Responses to Libya: Will Sarkozy Have The Balls To Attack Gaddafi’s Forces? A little hyperbole there, perhaps? Show where civilians are getting “slaughtered by the thousands.” And these “civilians” happen to be carrying weapons and firing at Libyan troops — some of them even in uniform. 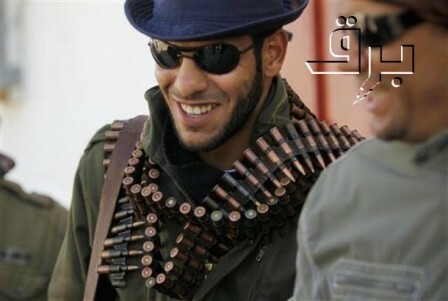 I am from the United States and I feel it is terrible that no one wants to help the Libyan Rebels fight Gaddafi’s forces. At least a “no fly zone.” Something should have been done before they lost all the ground they lost. Sure, they didn’t want help at first, but then they seen they couldn’t do it alone. They were just proud of their country and wanted to liberate it alone. Same as anyone from any country would want. I feel sympathy for these people and feel the United Nations should stop the red tape and help them before Gaddafi wins it all back. Doesn’t anyone care in the world anymore? The question is…………….will The USA have the balls to crush the radical terrorist rebels. It is obvious that Al Quaida is behind this. Where did all these pre-1969 flags come from? Who is funding these terror net work operating from Benghazi? Did you notice some of the members of Benghazi council are former Taliban / Al-Quida operatives? Well, it is well known that Sarkozy was a former Mossad junior oprator. It appears now that Mossad, MI 6 and Al-Quida is in bed together to rob Libya. It is getting funnier by the hour. At last Obama proved he has some brains by staying out of it. It is a 1956 Suez repaly….We might see a UK and French imposed “No Fly Zone Joke” and Russian and Libyan planes flying …. French are day dreaming of recreating their lost African empire…keep on dreaming…. Col. Ghadaffi is an Alpha male with Bowling Balls for Balls?Does anyone have the balls to confront this Alpha male? There is a lot of hipocrasy in this internal Libyan conflict. Just 25 months ago Mr. Ghadaffi was being paraded around the major European capitals as a leader of his people. The truth is European leaders from Sarkozy to others where just trying to bring home the bacon by getting lucrative deals from Libyan Leader Ghadaffi. Sure, the people may want Western style Democracy and free elections, but who is to say the rebel leaders are better or worst than Col. Ghadaffi. It is true that the French could easily overrun Libya with their elite Rafale fighters and French foreign Legion, but why should they? Besides in this world no one does anything for free. If the French intervene, it will be the end of Ghadaffi and France will most likely get extremely preferential treatment in their business dealings with the future Libyan government. Want some Renaults, Peugeots, Rafale fighters. Le Clerc tanks, famas rifles? At this point and time I think it is inevitable! Good now let them put up or shut up. If the Arab League endorses it then they can enforce it. They have have the means and the money.